Saoirse Ronan attends TimesTalks Presents Greta Gerwig and Saoirse Ronan at Merkin Concert Hall at Kaufman Music Center on January 4, 2018 in New York City. Saoirse Ronan styled her hair into a twisty, center-parted updo for her appearance on TimesTalks. 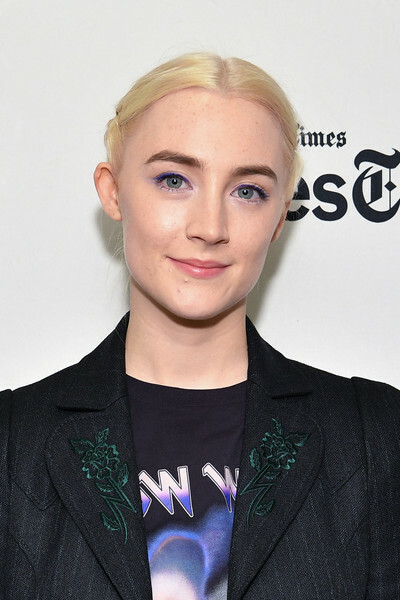 Saoirse Ronan went for a fun beauty look with a purple-lined eye.